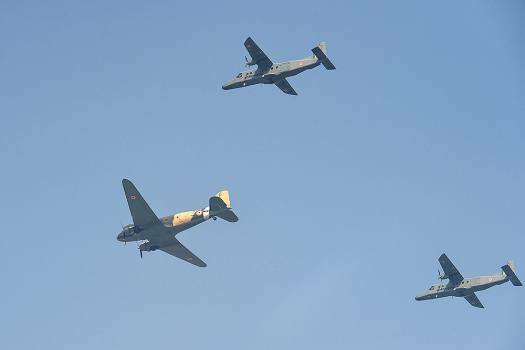 Indian Air Force's two Dorniers and a Dakota fly in a formation during the 86th Air Force Day Parade 2018, at Air Force Station, Hindon, in Ghaziabad. 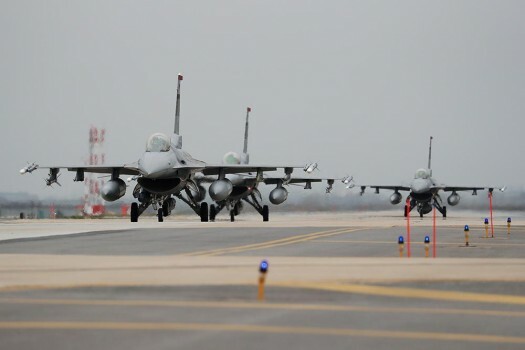 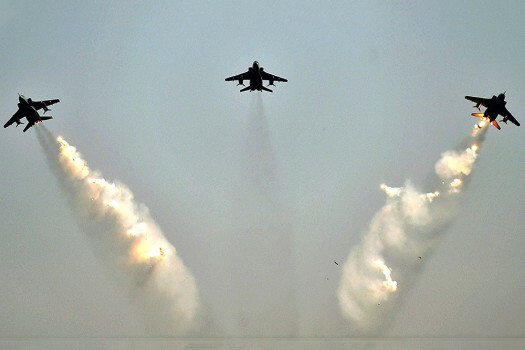 Indian Air Force's fighter aircraft Su-30MKI flies-past during the 86th Air Force Day Parade 2018 at Air Force Station, Hindon in Ghaziabad. 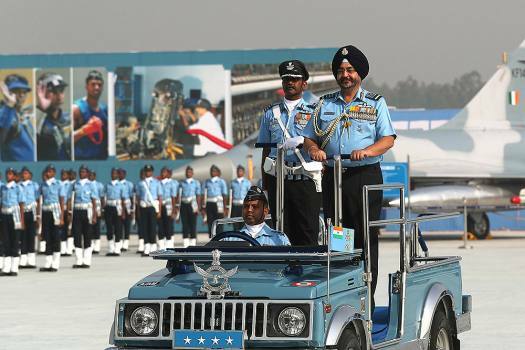 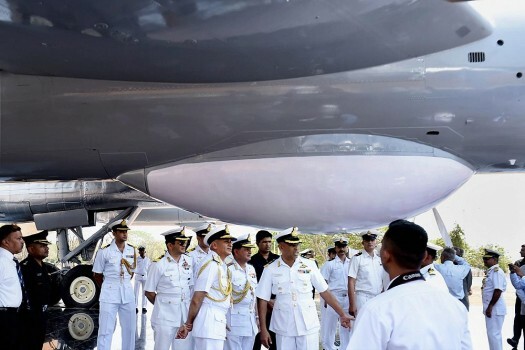 Indian Air Force Chief Birender Singh Dhanoa, right, inspects a guard of honor during the Indian Air Force day parade at the Hindon air base. 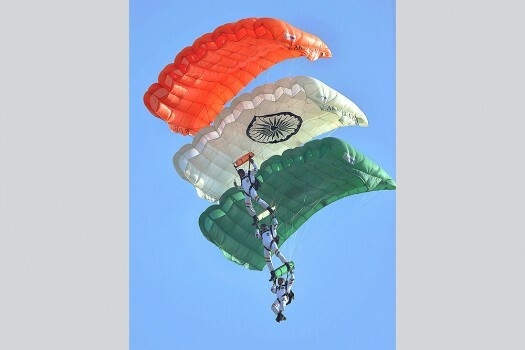 Members of Akash Ganga Sky diving team of the Indian Air Force display their skill during Air Force day parade at the Hindon air base on the outskirts of New Delhi. 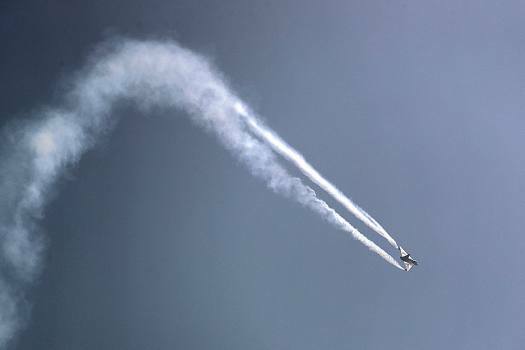 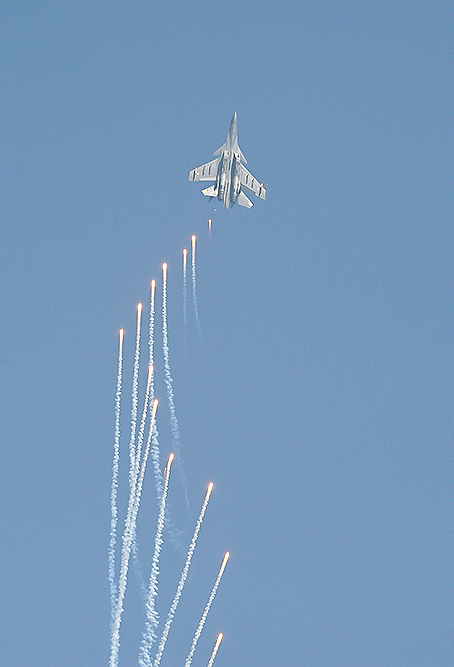 Indian Air Force (IAF) home made fighter aircraft Tejas displays its potential during Air Force day parade at the Hindon air base. 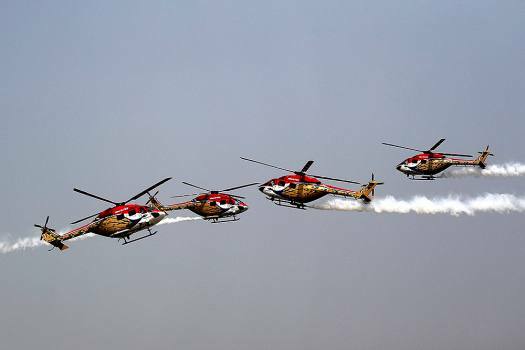 Indian Air Force (IAF) Sarang helicopters perform a display during Air Force day parade at the Hindon air base. 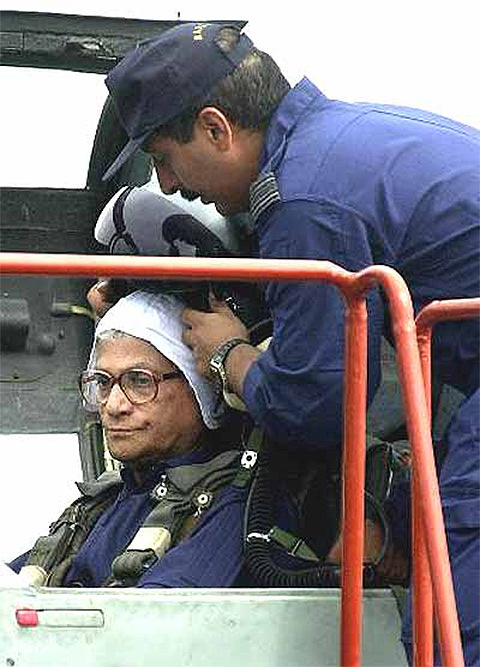 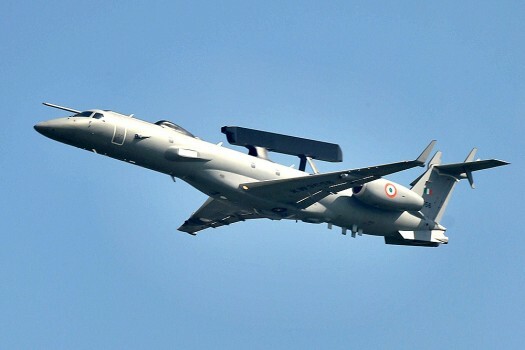 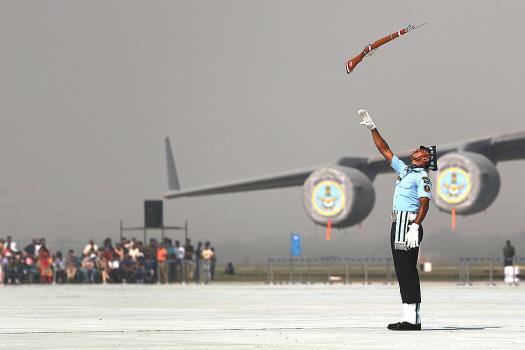 An Air Warrior Drill Team member of Indian Air Force displays his skills during Air Force day parade at the Hindon air base. 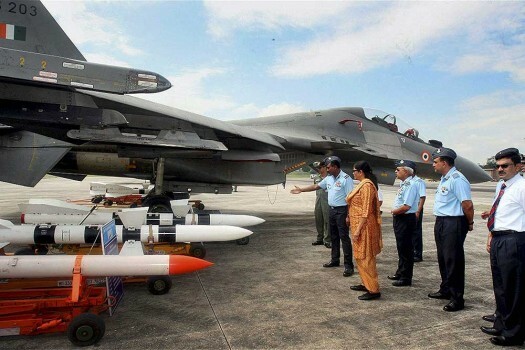 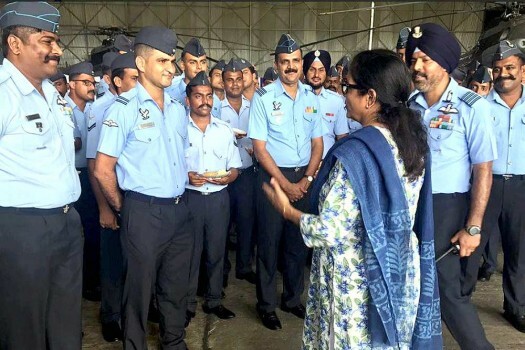 Union Defence Minister Nirmala Sitharaman celebrates Diwali with the Air Force personnel, at Air Base in Car Nicobar under Andaman & Nicobar Command. 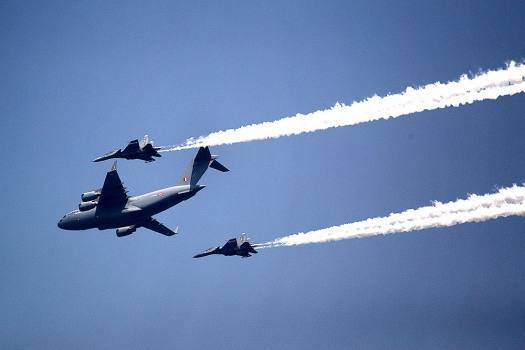 Indian Air Force fighter planes display an air show during a rehearsal for the 85th Air Force Day parade at Hindon Air Force base in Ghaziabad. 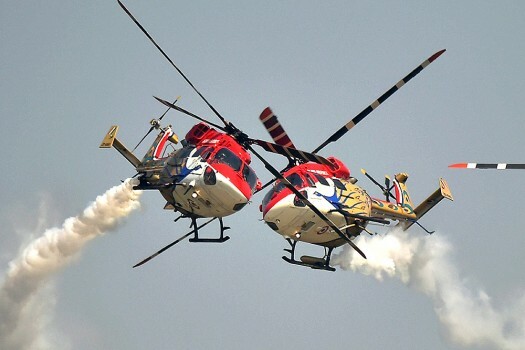 Indian Air Force's "Sarang" Helicopter Aerobatic team displaying maneuvers during a rehearsal for the 85th Air Force Day parade at Hindon Air Force base in Ghaziabad. 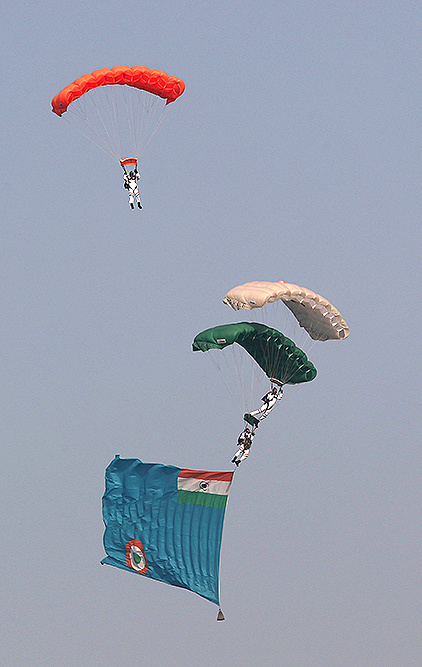 Members of Akash Ganga Sky diving team display their skill during a rehearsal for the 85th Air Force Day parade at Hindon Air Force base in Ghaziabad. 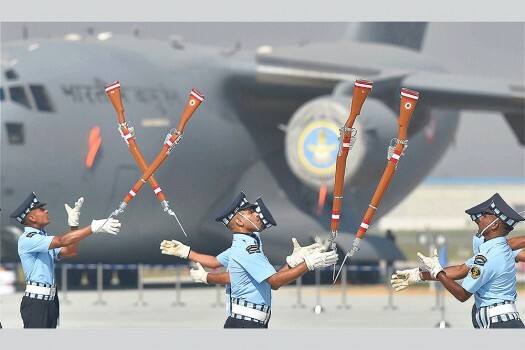 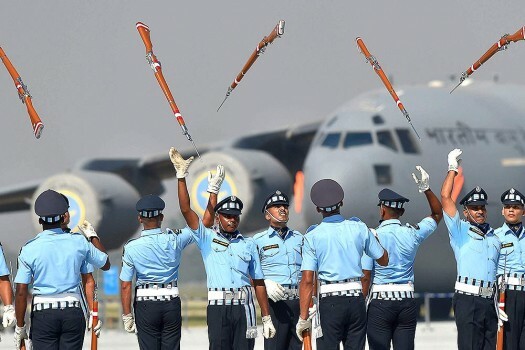 Indian Air Force personnel perform a drill with rifles during a rehearsal for the 85th Air Force Day parade at Hindan Air Force base in Ghaziabad.